Fancy an al fresco film? 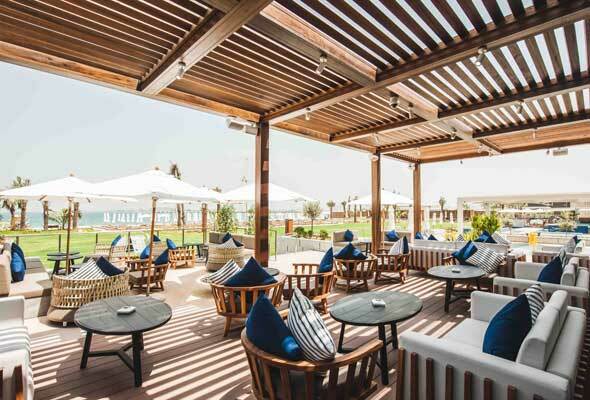 We’re about to be spoiled for choice in Dubai, with the return of the outdoor cinema in Dubai Marina this month, and now JBR beach club Azure Beach has announced it’s launching a weekly movie night. ‘Sea-nema Nights’ will take place every Wednesday throughout October on the lawn of the beach club at Rixos Premium Dubai. It kicks off on October 10, with James Cameron’s “blue people” epic Avatar. Showtime is 9pm, so it’s recommended that you arrive at 8.30pm to get yourself a comfortable spot. Entrance is Dhs50 for walk-ins, and there are three packages available. The non-alcoholic package costs Dhs95 and includes a soft drink, hot dog or loaded fries and a bag of popcorn. The alcoholic package costs Dhs145, and comes with two house drinks (beer or wine), hot dog or loaded fries, and a bag of popcorn. Or you and your mates can really splash out and book a seat in the VIP section, which costs Dhs1000 for up to four people and includes a choice of two buckets of beer, bottles of house wine, or pitchers of signature cocktail. This fancy package also comes with two large bottles of Fiji water, a food platter, and two large popcorn bowls.